I hated filling my mop bucket up with water. 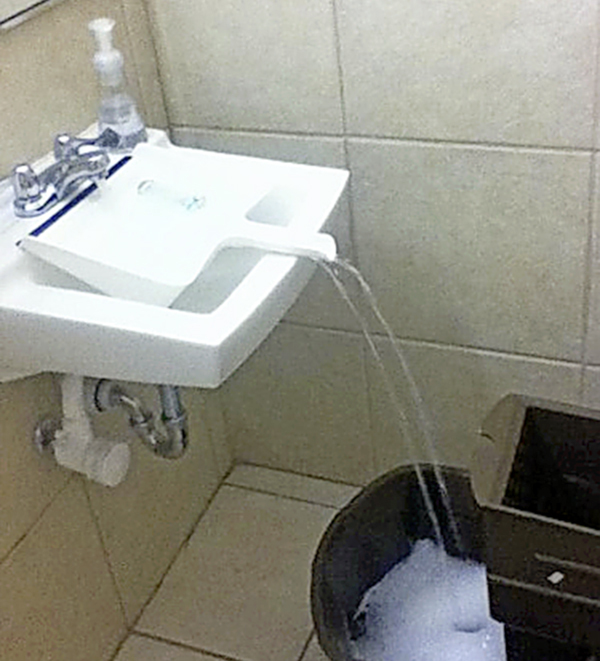 It was too big for the sink, which meant the water went everywhere. Then I had an idea. I made a spout by placing my dustpan in my sink, and allowing the water to flow out through the handle into the bucket on the floor. It works a treat and the surrounding area stays dry.